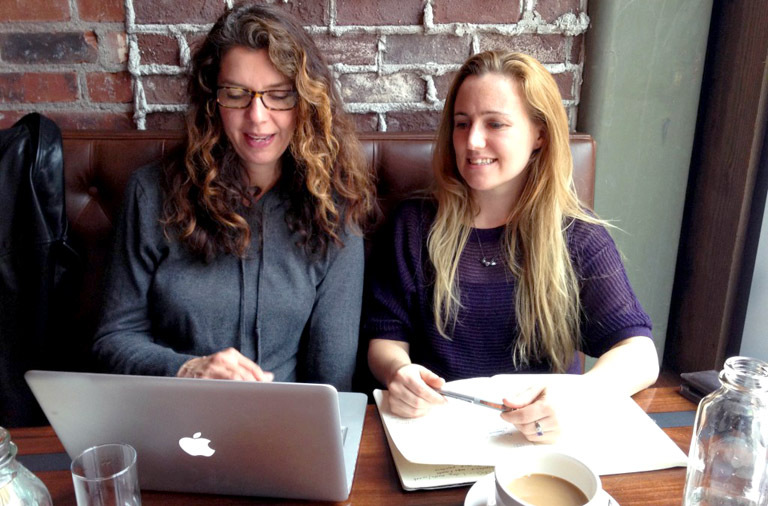 Here is a Shout Out to Kelsye Nelson & Abby Carter – two women who have done so much for our local, Seattle writing scene (and beyond!) that I just feel like giving them some love and making sure YOU ALL have heard of Writer.ly! Kelsye Nelson & Abby Carter are co-founders of Writer.ly, and if you’re a writer and haven’t heard of Writer.ly, keep reading! In a nutshell, Writer.ly was designed to “develop a marketplace for authors to get connected with book designers, marketers and editors.” In other words, pretty much everything that the modern author needs (when it comes to publishing) is discussed, supported, brainstormed, and brought to your computer screen…all with an eye to help you grow your Writing Life! And there are more. Why? Because, for most published writers, your success will be based upon all that you do OTHER THAN your writing and the people at Writer.ly practice what they preach! I think you’ve got what you need to get started with your Writer.ly Adventures! But, before you launch yourself into the seas of Writer.ly, I’d like to leave you with the Top Ten List that Kelsye Nelson shared at an author’s event this past Summer! Get Your Writing Out Into The World! Sage advice to publish by!